Notaries who have been suspended, incapacitated or temporarily interdicted from the exercise of their profession shall continue to form part of the College but shall not attend the sittings as long as the suspension, incapacitation or interdiction lasts. Students who have started their practice in terms of section six of chapter fifty-five of the Laws of Malta (henceforth to be called Trainee Notaries) shall have, during the period of the said practice, the right to attend the meetings of the College, without the right to vote. The College will hold ordinary and extraordinary meetings which shall be called by a notice published by the Notarial Council and transmitted to each Notary in possession of a warrant to exercise the profession of a Notary Public, with an indication of the Agenda, at least ten days beforehand, except in cases of real urgency. Matters not listed in the Agenda may be discussed but may not be voted upon. A member may however ask for a suspension of the regulations and, if this is granted unanimously by those members present and voting, such matters as are not listed in the agenda may thereby be voted upon. When an urgent meeting has been called, the majority of the members present shall approve of its urgency before the meeting may proceed to deal with the Agenda; the notice for such meetings shall be given at least 24 hours previously. The ordinary meeting of the College shall be held yearly during the month of December with the object of nominating the members of the Council for the ensuing year. Extraordinary meetings shall be held whenever the Council will deem it necessary, or one third of the Notaries in the exercise of their profession composing the college will apply for the holding of such meeting. The office of President and that of Secretary shall be held by the President and the Secretary of the Notarial Council respectively, or, in default, by those acting as such. For the validity of the proceedings a quorum of at least one third of the College is required. In the absence of the quorum at the appointed time the proceedings may be validly carried on half an hour after the appointed time whatever the number of members present. Any decisions and any deliberations shall be deemed to have been validly taken or made. The Notarial Council shall be composed of nine members to be selected by the Notarial College from among Notaries in the exercise of their profession composing the said College. Consequent to the death or resignation of a Councillor, the Notarial Council shall either co-opt a member from among the members of the Notarial College by unanimous vote or else call a bye-election. Should the necessary number of members to form the Notarial Council not be reached, the Council as elected shall co-opt the necessary number of members from among the members of the Notarial College. 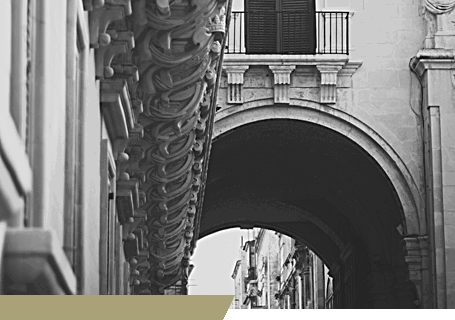 The Notarial College is empowered to appoint any Notary to attend its council meetings as an adviser. The members of the Council shall remain in office for three years and shall be eligible for re-election. One third of the members of the Council shall be replaced yearly, the first and second batches of vacancies being determined by lot. The election of the Members of the Council shall be made by secret ballot. and those obtaining the most votes shall be deemed to have been elected. On an equality of votes preference shall be given to the member who is most senior in the exercise of the profession, and in cases of equal seniority to the elder member. Any elected member of the Notarial Council may contest the office of President, who shall be elected by the members of the College by means of secret ballot. The member having an absolute majority of valid votes polled shall be elected President. If more than two members contest the office of President, and no member obtains an absolute majority (more than fifty percentum) of valid votes polled, a fresh election is to take place between the two members polling most votes. On an equality of votes preference shall be given to the member who is most senior in the exercise of the profession, and in cases of equal seniority to the elder member. The Notarial Council shall elect from its own body the Vice President, the Secretary, the Assistant Secretary and the Treasurer, in accordance with the rules established in the immediately preceding article. They shall retain their post for a period of one year. In the absence of the President and the Secretary, their duties shall be discharged by the Vice-President and the Assistant Secretary respectively. The President shall convene the Council, shall be its representative, shall preside its meetings, shall regulate its proceedings and shall correspond with the public authorities in consultation with the Council on matters falling within its competence. The Secretary shall have the charge of the office of the Council and be responsible therefor; he shall prepare the minutes of the proceedings; he shall keep all documents relative thereto, and shall issue copies of the deliberations of the Council and the Notarial College to any member who so requests. The minutes of proceedings shall be signed by the President and the Secretary. All members of the Notarial College shall pay to the Notarial Council an annual fee of twenty-five Maltese liri, or such other amount as may be determined from time to time by the Notarial Council, which fee is to be paid by not later than the thirty-first day of January of each year. However members with less than two years practice shall only pay ten Maltese liri per year. Furthermore Notaries above the age of sixty-five (65) and Notaries in government employment shall not pay the annual fee. The Council may, in special cases, exempt any Notary from the payment of the annual fee. Any Notary defaulting on such payment shall not have the protection of the Notarial Council which shall not provide its services to the said defaulting Notary. Moreover said Notary shall not participate in any activity organised by the Notarial Council or the Notarial College. The Treasurer of the Council shall collect any fees due to the College and to the Notarial Council from whatever source. The decisions of the Council are taken by a majority of the members present, and on an equality of votes the President shall have a casting vote. Votes shall be recorded openly; however, any member can request a secret vote. In matters concerning persons the voting shall be by secret ballot, and in case of an equality of votes, the deliberation deemed favourable to the person to whom it refers shall prevail. such member has been duly notified of the sitting. such member has not within one month from the last sitting given a written explanation which in the opinion of the Council renders such absence to have been justified. shall intervene with a view to settling differences between Notaries, or between Notaries and third parties, concerning the return of papers or documents, questions of expenses or honorarium, or any other matter relative to the exercise of the Notarial profession. shall have the right to set up structures conducive to the betterment of the Notarial Profession in general. a register of Notaries giving practice to Trainee Notaries. The Notary who accepts a Trainee Notary to practise with him/her in terms of section 6 of Chapter 55 of the Laws of Malta shall, prior to the commencement of the said practice, inform the Council in writing of the date of commencement of the said practice. if two thirds of the Members of the Notarial council object to the Notary giving such practice. The Council has the right to inspect the office of the proposed Notary giving practice and to inspect his work. A member of the Council or of the Notarial College shall have the right to take part in deliberations or be present at discussions, when the matter being dealt with concerns such person personally or concerns such person's relatives by blood or affinity in direct line to any degree or in any collateral line to the third degree inclusively. However such member shall abstain from voting and the voting shall be taken by secret ballot during which such member shall leave the meeting. Members of the Notarial College who wish to terminate their profession shall, prior to such termination, advise the Notarial Council in writing of their intention and give the name of the Notarial keeper whom they intend to appoint, whereupon the Notarial Council shall without delay inform the competent authorities. The Notarial College and the Notarial Council shall have the right to affiliate with, or become members of, International and National Institutions. Any amendments or additions to this Statute must to become operative and binding, be approved by two-thirds majority of all Members of the Notarial Council in Council Meetings, or by a majority of fifty per cent plus one present and voting, of the members of the Notarial College in meeting of the Notarial College.